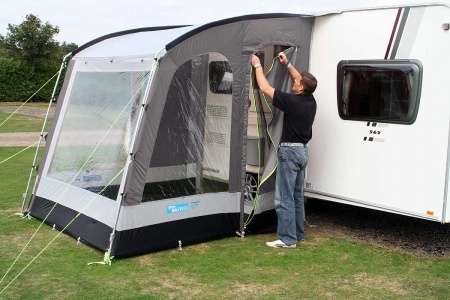 The Kampa Rally 200 is the smallest awning in the Kampa Rally range but still has all the features and benefits of the larger awnings in the range. 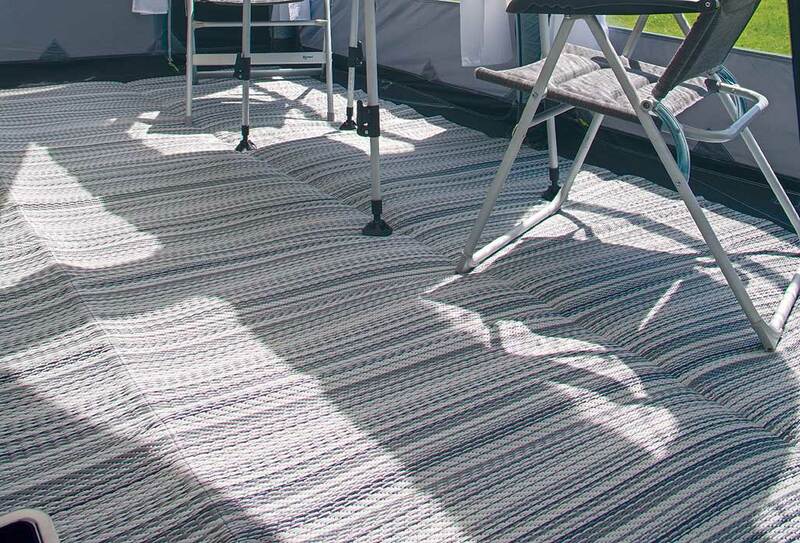 Supremely suitable for weekend and touring caravanners due to both it's size and easy setup, the Rally 200 provides a convenient extra room to your caravan, with a width of 2 metres and a depth of 2.5 metres - providing 5 square metres approximately of additional space. 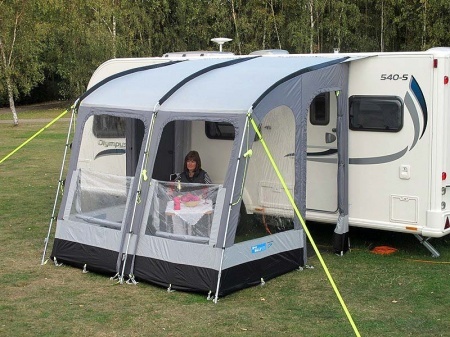 The Kampa Rally 200 has a door on both sides so that access to your caravan remains easy and convenient and with the optional canopy pole you can open up the entire front of the awning ( as shown in the picture ). 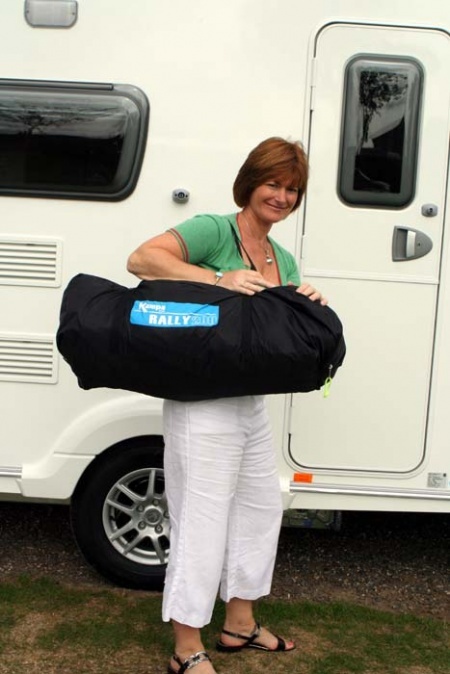 All Kampa Rally awnings have adjustable front legs - and the Rally 200 is no exception. 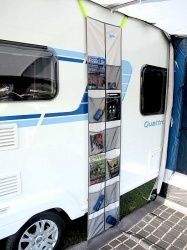 These adjustable legs are so useful when the ground you are pitching on either slopes toward or away from the caravan. 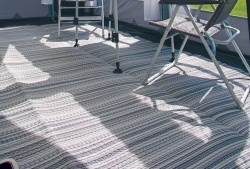 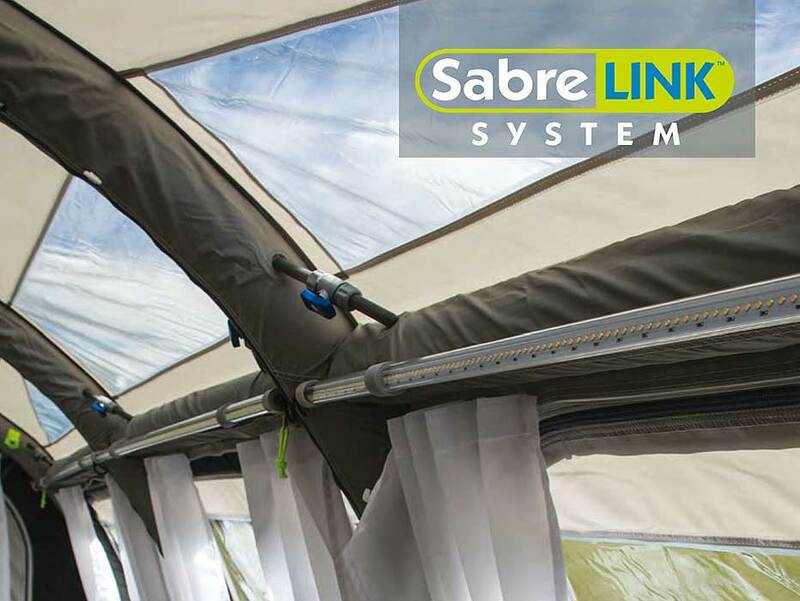 Because the poles can be adjusted to compensate for the sloping ground they help to maintain a good fit between the awning and the caravan. 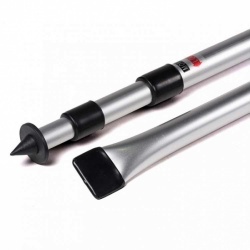 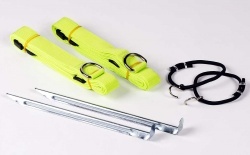 Suitability: The Rally 200 is suitable for caravans with a rail height of 235 to 250cm.